As an RNLI station that is open all year round and has a gift Shop, Southend can accommodate visits by groups whether they be schools, institutions, or other interest groups. However, the Lifeboat boathouses are not staffed on a full time basis and arrangements have to be made prior to you turning up. Brian Wood (southend-on-sea@RNLI.org.uk) is the station’s ‘Lifeboat Visits Officer’ (LVO). All ages catered for… Our LVO should also be contacted if you wish to arrange for a presentation talk at your own venue. Such presentations usually last for about 45 minutes but can be tailored to the needs of any particular audience. 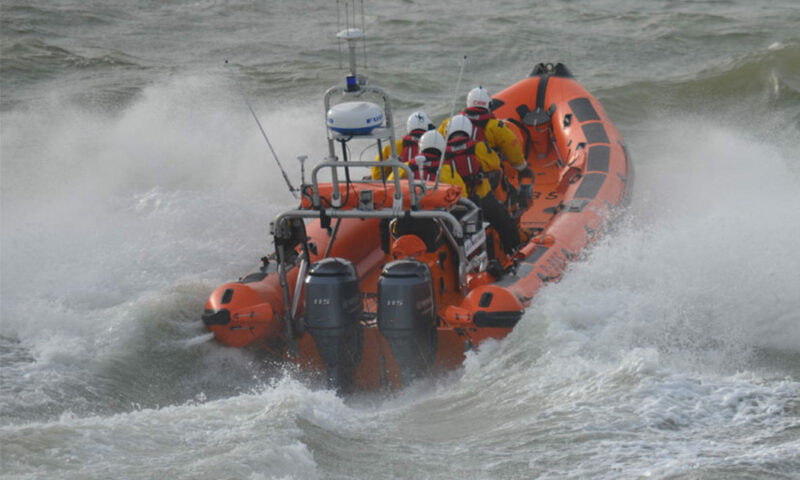 Large groups of up to 30 people, no problem… If your time is limited and going to the end of the Pier makes a time constraint, our Inshore facilities are just as interesting, featuring the Inshore ILB (our busiest Lifeboat) and our Hovercraft (one of only 5 in the country). Please be aware that we require at least 7 day’s notice of your visit and this must be confirmed in writing beforehand. Once you have contacted us, there will be forms to complete and sign prior to your visit being confirmed.